While there are many romantic places to visit across the country, Richmond, Virginia offers a great location for a couple to experience the many romantic options offered in this wonderful city. Founded in 1737, Richmond Virginia is the current capital of the Commonwealth of Virginia. Along with its rich history, Richmond is the location where Patrick Henry delivered his “Liberty or Death” speech at St. Johns Church and was also a very contentious place during the Civil War when a good portion of the city was burned down by invading troops. Presently, you can walk, run or bike the 52-mile Virginia Capital Trail, visit the Virginia Museum of Fine Arts or learn about the Civil War at The American Civil War Museum at Tredegar. Downtown Richmond boasts many vintage shops, farmers markets, restaurants, and hotels. 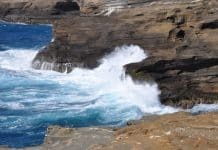 Depending upon the time of year you decide to visit, you will find that there are many different festivals taking place which can be nice to see some local entertainment and food. 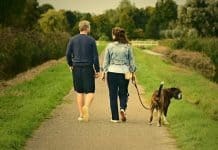 Even if you are looking to take a relaxing stroll with your sweetheart, you can visit Maymont Park or wander along the canal or go kayaking on the James River. 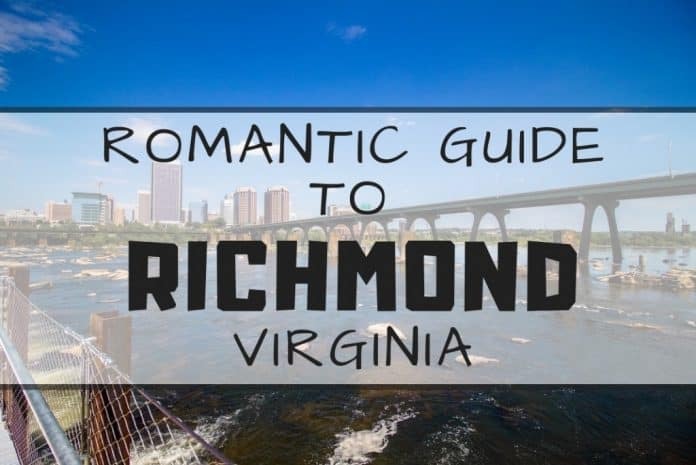 There is truly no shortage of romantic activities and sites in Richmond, Virginia! Stretching just over a mile, the canal walk is a wonderful destination if you are looking for a nice relaxing stroll with your sweetheart. The canal walk is made up of the James River Canal, the Haxall Canal, and the Kanawha Canal. During the months of April to November, you can take a 40-minute narrated historic tour on the riverfront as part of a Canal Cruise. The Canal Walk connects Belle Isle and Browns Island which are both good points of interest, especially if you and your significant other enjoy learning about history. 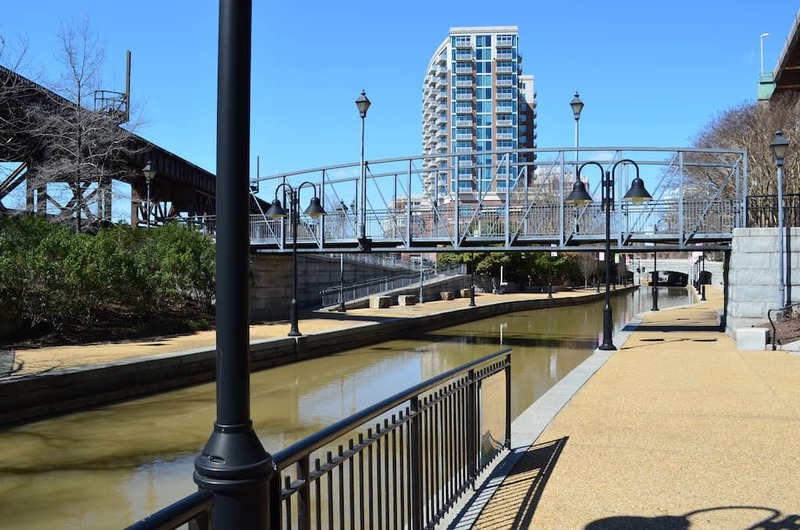 If you are into doing active things together, you can access the Virginia Capital Trail from this location which connects Richmond, Virginia with Williamsburg, Virginia. After a walk on the canal, you can stop and have lunch at Southern Railway Taphouse which serves up some interesting fare including the Sicilian Burger, Macaroni and Double Cheese Egg Rolls, and Sesame Ginger Pork Tacos. Southern Railway Taphouse also has over 40 beers on tap, including many from Richmond breweries. Canal Walk is one of the free things to do in Richmond. The Virginia Museum of Fine Arts is a wonderful location for couples who are looking to explore art and view some unique exhibits. 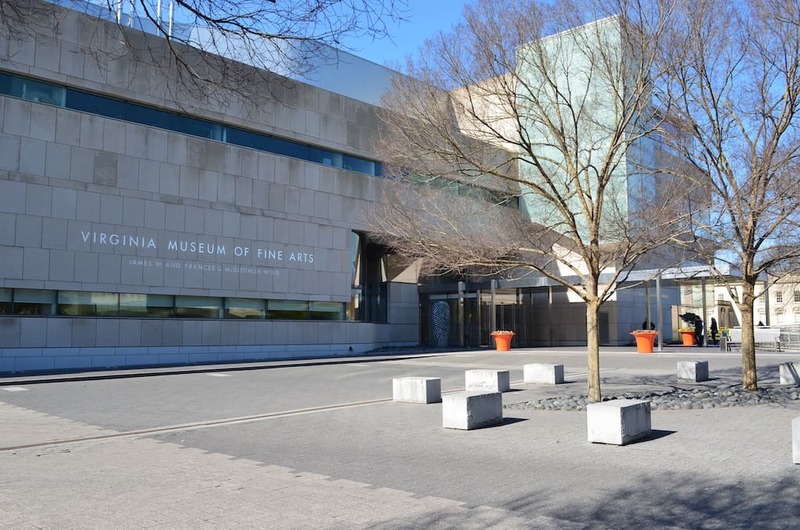 Whether you are interested in a walk-in tour or a self-guided tour, the VMFA has something for everyone. Find yourself hungry while taking in the exhibits, then you can visit the fine dining Amuse Restaurant which offers both lunch and dinner, as well as a happy hour! Depending upon which time of the year you visit, the VMFA offers a variety of different activities for people of all ages. The VMFA also has “The Studio School” which offers classes for adults in drawing, painting, photography, pottery, printmaking, mixed media, creative writing, and design. Class schedules are posted online well in advance and it’s advisable to sign up as soon as possible as these classes fill up quickly. How romantic would it be to take a pottery class with your sweetie… Demi Moore and Patrick Swayze anyone? Be sure to go to The Virginia Museum of Fine Arts (VMFA) while in Richmond. Looking to enjoy a French-brasserie style meal with your sweetheart without visiting Paris? Then we would recommend you visit the Can Can Brasserie. 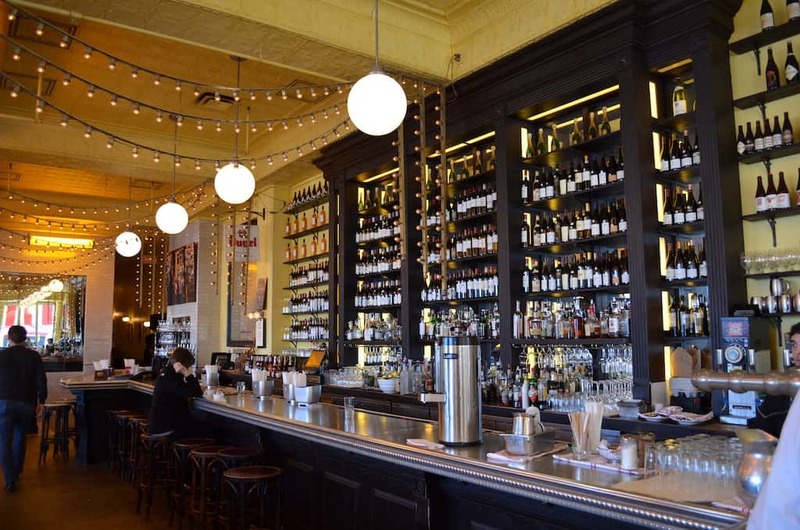 Grab a cocktail from their extensive list, enjoy some oysters or escargot from their hors d’ oeuvres menu, and enjoy Boeuf Bourguignon from their dinner menu. You will not leave this restaurant hungry as they have a generous menu selection. Nestled in the Carytown district, this restaurant is part of a unique Richmond shopping neighborhood full of various restaurants and shops. After dining at Can Can Brasserie, feel free to take a stroll down the beautiful streets of Carytown and grab some dessert or a cup of coffee while taking in the views. Can Can Brasserie Richmond is a good place for a coffe in Richmond, VA. Sometimes, catching a good movie with your significant other can be a great option. Enter the Byrd Theater, also located in Carytown, a wonderful gem which first opened in 1928. 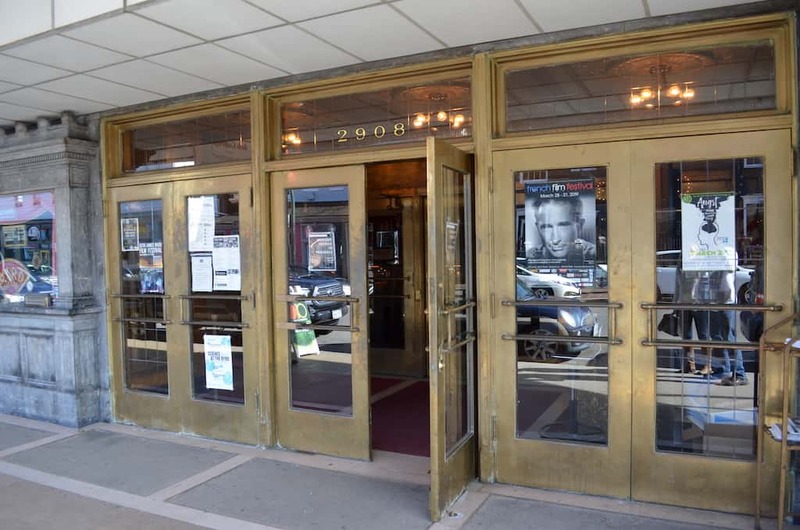 Presently, The Byrd Theater is open 365 days a week, so you do not have to worry about missing an opportunity to watch a movie all while stepping back in time. One of the best things about The Byrd Theater is that movies shown here are only $4.00! Where else can you go and watch a movie for this price in a movie theater? 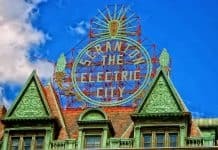 If you happen to attend a movie on a Saturday night, you will be lucky enough to see the live organ show which lasts anywhere from 12-15 minutes and is played on an organ that is as old as the theater itself! The Byrd Theater is a great place for budget travelers. For our wine loving couples, we recommend visiting Secco Wine Bar. 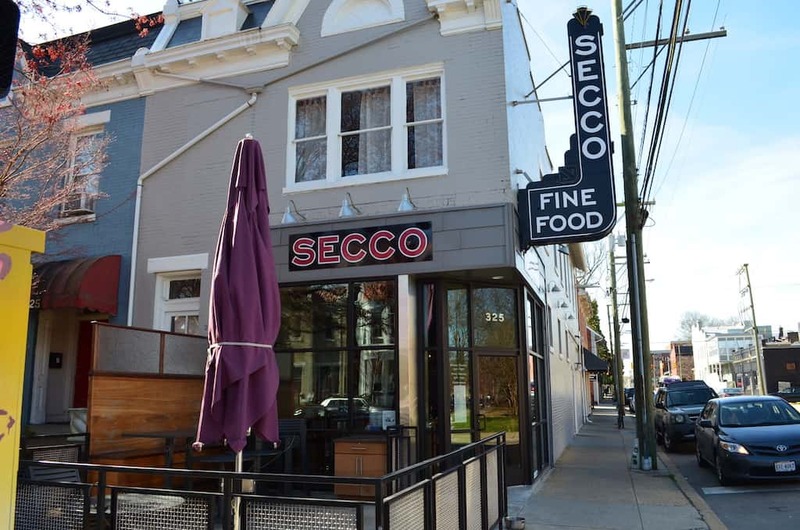 Secco is a sanctuary for wine lovers and a quaint location where you can enjoy a glass of wine either inside or outside on the patio during the warm season. Secco offers a nice menu of appetizers such as olives and a cheese plate to be enjoyed with your glass of wine. However, if you find yourself here during dinnertime and are hungry, they also offer a full dinner and dessert menu. Not big on wine? That’s okay because they also offer an extensive cocktail and beer menu. Before visiting, you may want to check out their events section on their website as they offer classes on wines and spirits and even pair them with a meal for your enjoyment. What better way to enjoy a romantic night out with your significant other than enjoying food and drink together while learning something new! Want to try some of the best beers in Richmond, Va? Book your Richmond beer tour here. Go to Secco Wine Bar to spend a perfect date in Richmond, VA. This historic hotel opened in 1895 and has continued to be a featured place to stay in Richmond, Virginia. The Jefferson Hotel is known for its top-notch service, its decorative architecture, and its exquisite dining. If you choose to stay in this hotel, you can choose from one of their luxurious rooms which include grand premier rooms and an array of upgraded suites. The Jefferson features an indoor swimming pool and a fitness facility which offers therapeutic and Swedish massages for an additional cost. Additionally, there are various packages that are offered by The Jefferson Hotel to its guests as an upgrade which can include sparkling wine upon arrival, breakfast, and a seasonal fresh floral arrangement. Finally, do not worry about getting around downtown Richmond during your visit, as The Jefferson Hotel offers complimentary transportation to a great number of downtown Richmond destinations. For a couple looking for a romantic stay, The Jefferson Hotel is one destination which is not shy about fulfilling your needs and can provide you with a stay to remember. 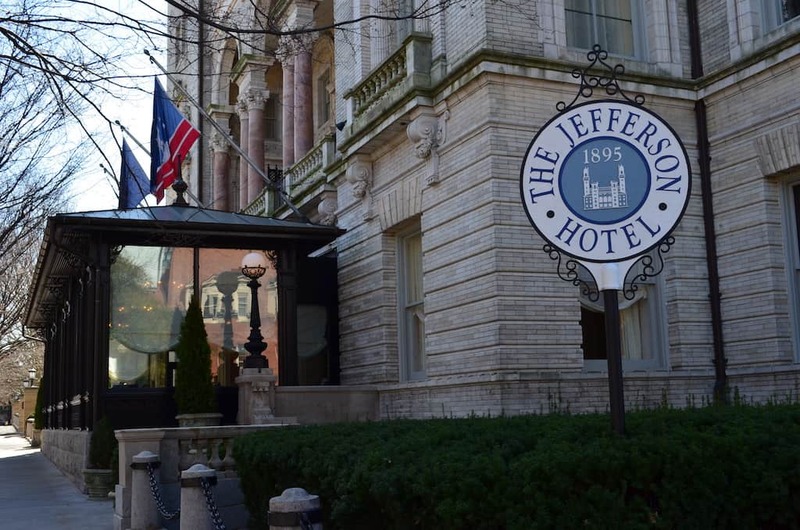 Book your stay at the Jefferson Hotel here. Jefferson is one of the oldest hotels in Richmond, VA.
Quirk Hotel recently opened in Downtown Richmond in 2017 and was recently named in 2018 as one of the South’s Best Hotels in Southern Living Magazine. It sits in a remodeled 1916 luxury department store, they were able to keep the original 13-foot ceilings and maple flooring. The hotel’s restaurant, Maple and Pine, is quickly becoming one of Richmond’s favorite restaurants. Chef Dunlap serves up a variety of food including Crispy Pork Belly, Pork Schnitzel, and Seared Atlantic Rockfish. Maple and Pine also offer the best Richmond breakfast as well as brunch and a lunch menu as well as unique handcrafted cocktails. If you’re looking for a Richmond rooftop bar, Quirk has it! The Q Rooftop Bar offers a menu of elevated street fare, beer and wine on tap and top shelf liquors. Enjoy the gorgeous views from this Richmond rooftop bar while you enjoy the fresh air and sip a cocktail. Book your stay at the Quirk Hotel here. 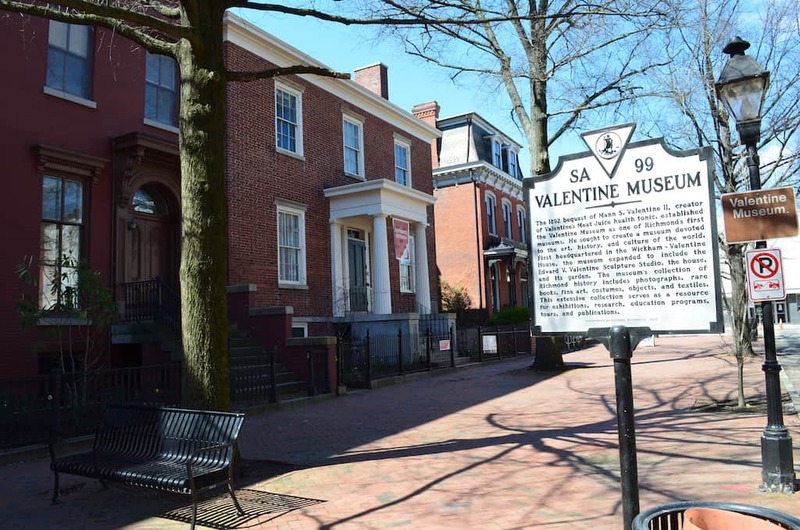 The Valentine Museum is the perfect place for history seeking couples. Inside, you will find a vast collection of items from Richmond’s 400-year history that help tell the story of the broad history of Richmond, Virginia. Currently, there is an exhibit featuring more than 10,000 photos from the turn of the 20th century when Richmond was caught between Civil-War reconstruction while still trying to hold onto its antebellum identity. After walking thru the museum you can stop into the Carriage House Café and grab a bite to eat while talking about your experiences with one another. The Valentine Museum Richmond is a must-visit during your romantic stay in Richmond, VA.
Maymont Park is a beautiful outdoor location for you to visit where you can view colorful gardens, native wildlife, and Maymont Mansion which is a historic house museum. Spreading over 100 acres of fields and trails, this park is a great place to plan a picnic, walk, or just take a stroll while holding hands with your significant other. If you happen to visit Maymont on a weekend, you will have the option to attend one of their various wildlife presentations where you can get up close in personal with animals and learn about their lifestyles. Looking to get out of the Richmond heat, take a tour of the 12,000 square foot Maymont Mansion and look back in the history of the lifestyles of previous residents, James and Sallie Dooley. More than 25 preserved historic buildings can be found throughout the 100-acre estate including a mausoleum, bridges, and gazebos. Even though this park is in Richmond, you would not know it as you feel fully immersed in nature once inside. 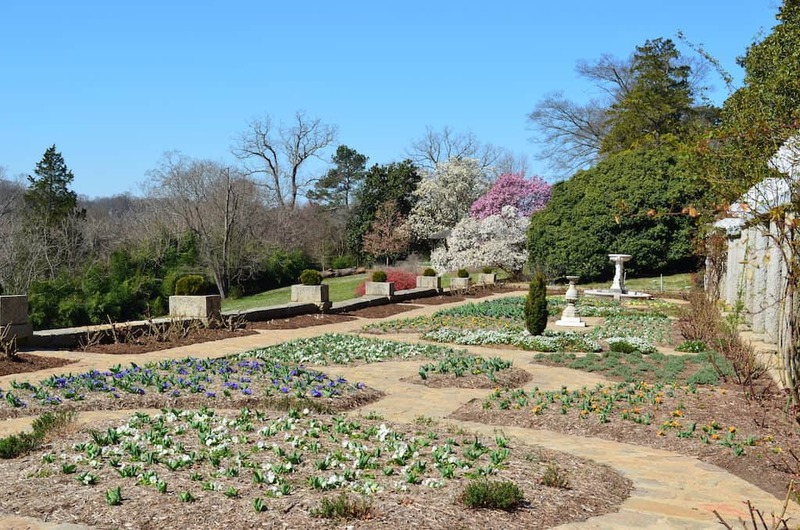 Maymont park should be a part of your Rchmond walking tour. This restaurant has been named as one of Richmond’s “Top Seven Sensations” by Richmond Magazine. At Julep’s, you will find an elegant atmosphere and some of Richmond’s top southern dining options. Local favorites include Fried Green Tomatoes, Julep’s Signature Shrimp and Grits, and Lump Chesapeake Crab Cake. This gem is truly delicious and is a wonderful place to stop in for a full dinner, for a cocktail and an appetizer or dessert. Although there are a vast number of places to dine in Richmond, this is on the top of our list due to the quality of the food, service, and ambiance of the restaurant itself. Are you a foodie? Book your Richmond food tour here! For our active couples who enjoy doing something a bit more challenging, we recommend the Virginia Capital Trail. The trail is a 52-mile multi-use path which connects Richmond, Virginia to Williamsburg, Virginia. There are various access points to park along the paved trail and it is open all hours of the day and week, and it is open to both pedestrians, pets, and bicycles. Even if you forget to bring your bicycle with you, there are several bike rental options along the trail where you can rent a regular or electric bicycle. Ride off into the sunset with your sweetheart, while taking in the many beautiful sites along the Virginia Capital Trail. 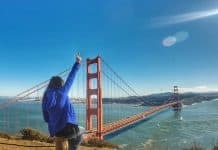 If you want to visit a few festivals in Richmond with your significant other then fall is definitely the best time to visit. With an average temperature of 71 degrees in October, Richmond is a perfect location to enjoy an outdoor festival. The fall offers several food festivals including the Armenian Food Festival, Picked and Fermented Festival, Hogtober Festival Brunswick Stew & Stout Festival and Oystoberfest. Music festivals abound with Stone’s Throwdown, Richmond Bluegrass Festival, Bluegrass and Blue Crab Festival, 2nd Street Festival, and Richmond Folk Festival. There’s also no shortage of beer and wine festivals in the fall including Capital Ale House Oktoberfest, St. Benedict Oktoberfest, Trails & Ales, Apples & Ales, Hops in the Park, and Richmond Cider Celebration. What could be more romantic than visiting the capital of the state where “Virginia is for Lovers” is the state motto? There are so many romantic things to do in Richmond no matter if you are an adventure seeker or a foodie (or both!) Whether you choose to dine in one of Richmond’s fabulous restaurants, stay a few nights in a historic hotel, take a scenic walk along the James River or visit during one of Richmond’s many festivals, Richmond will surely be a romantic destination to remember! Money exchange Richmond At the airport or anywhere in the city. Use Multicurrency Card to reduce the fees. Richmond tours Find the best Richmond tour here. 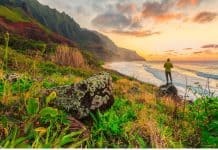 The post is written by Jennifer Herbert from The Wanderlust Couple travel blog. All the photos are Jenn’s as well.